Summary: Moritaka Mashiro is an unmotivated but talented artist in high school. Akito Takagi is a brainy aspiring writer that is always at the top of the class. After several attempts, Takagi convinces Mashiro to join him in becoming the greatest “mangaka” (manga creator) in Japan. Bakuman is unique in how it peppers in real explanations of how a manga gets published, from the differences in pens that are utilized for drawing to the differences in manga styles. Our main characters are creating their own manga as the episodes progress, so the process is explained as they reach the various stages of manga production. Along those same lines, it is interesting to think of how the creators of Bakuman were creating various manga ideas within an anime. It is kind of like an Inception of nerd. The Inception is well done in the way that the viewer gets to see the different manga that Mashiro and Takagi are creating. Even though the basis of the series is manga creation, the slice of life aspect would not be complete without some sort of love story. The romance starts off fun and awkward without being over the top, but it feels forced. It takes a back seat to the main purpose of the series, which makes it bearable. 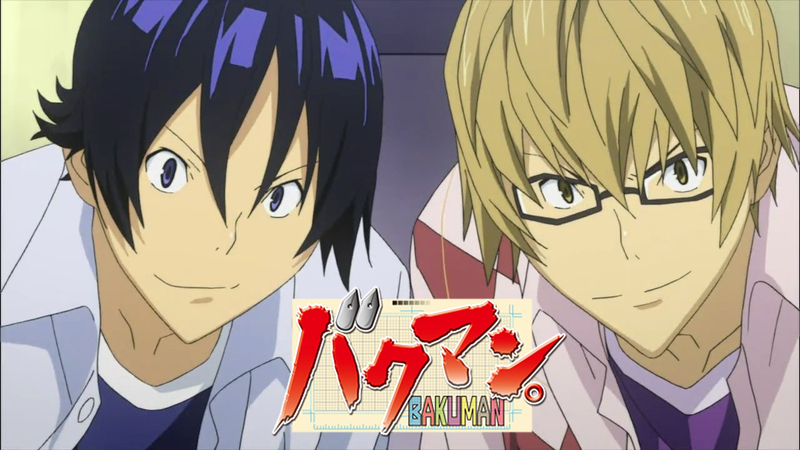 Bakuman uses a realistic style of animation. I like the way the series is animated, but it bothers me how random unrealistic animation, like Mashiro’s hair thing, is thrown in. It does not fit in with the realism of the animation. It does not ruin the animation though, it’s just a minor annoyance. The other part of the series that bothers me is how convenient it is for their journey to creating a manga. Their dream is randomly to become manga creators and they almost magically have an amazing studio to realize their dream. Once again though, it does not ruin the show, it just seems too convenient compared to what would really happen. You might enjoy this if: You want an educational anime about the manga-creation process, from beginning to end. You might not like it if: You are ready for something more upbeat. Note to the Viewer: If you like the anime, you can check out the live-action film that was just released on October 3, 2015! 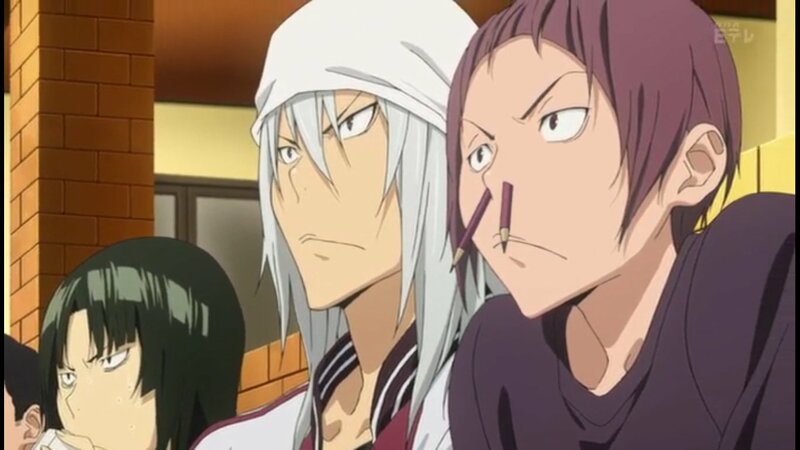 This entry was posted in Anime and tagged 2010, amv, anime, bakuman, comedy, creation, dark, dream, education, fall, fragglepuss, life, light, magic, manga, mashiro, review, romance, slice, takagi. Bookmark the permalink.